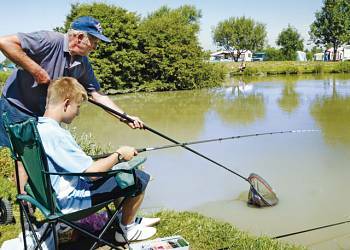 Boasting a truly impressive range of facilities, it's easy to see why this park remains a firm family favourite and with an outstanding programme of entertainment, everyone from toddlers through to over 50's can be sure of a great time! 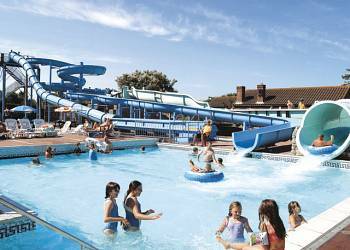 Enjoy 'Fun City' the largest fun park in the South West, splash about in the indoor and outdoor pools and explore the glorious sandy beach just a stones throw away! 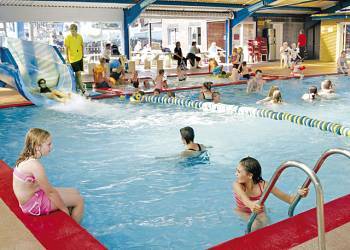 A fabulous American themed entertainment complex, indoor and outdoor pools, 10-pin bowling, games rooms, fishing, golf, fun park and gym are just some of the things to keep you amused. 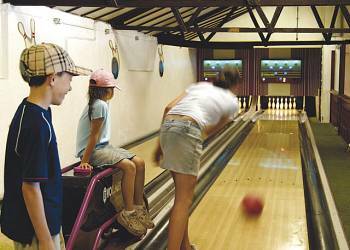 Children have their own club and a free outdoor play area and the evening entertainment offers something for all. There is a Road Train and Mini bus service around the park during the main season. Holiday Resort Unity offers the following facilities. We found the caravan to be very comfortable and particularly enjoyed the fenced off garden areas- as we took our dog with us. An ideal place to stay if you have children - plenty for them to do - my family really enjoyed their weekend away. I would definitely recommend Hoseseasons, My family has now had two holidays with them at two different sites and both have been excellent. I would especially like to comment on the evening entertainment that has made the holiday on both occasions. The park is very clean and well laid out and is in quiet and peaceful surroundings with no rowdiness. The parks supermarket is very well stocked and had everything we needed and was very reasonably priced too - if we had known we wouldn't have taken food with us. 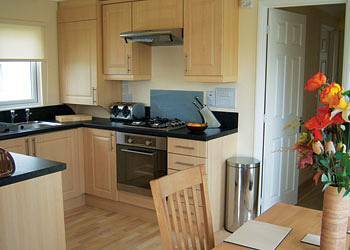 Excellent eateries and takeaways, no need to cook and an excellent fish and chip shop. 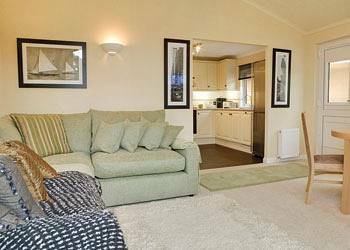 Within easy walking distance of the beach, local shops and amusements. 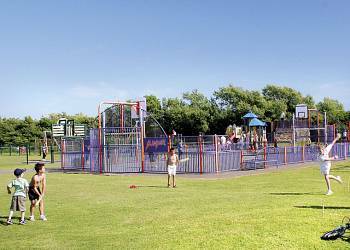 There is a safe play park for younger children and outdoor gym equipment for grown ups. There is ample parking and very friendly ducks visited us every morning. A great place to take kids. An excellent holiday! 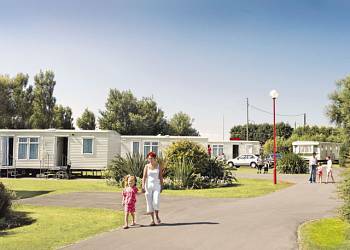 The park was very clean, the caravan was of a high standard, the free train was useful to the Leisure Park and it is close to beaches. Yes, I would recommend this holiday. The camp itself was well organised and very well maintained. Lots of things for all ages to do and right on a fantastic beach, 6 miles long and very wide, especially when the tide was out. The setting was peaceful and relaxing. No improvements needed, it was the best holiday caravan we have ever stopped in and the site was fantastic. 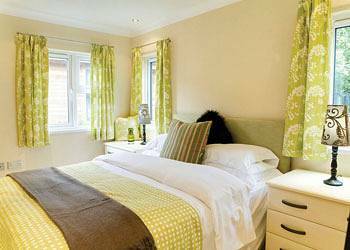 Hoseasons accommodation for people with pets is excellent. We have booked through several different holiday companies in the last two years but as we take our dog can only have standard accommodation and are not allowed to upgrade. It's nice to use a company that does not treat pet owners as second class. Really enjoyed this week, a good family holiday, close to all attractions. Accommodation excellent, a welcome pack of essentials on arrival a lovely touch. Very good value for money in this high economic climate. 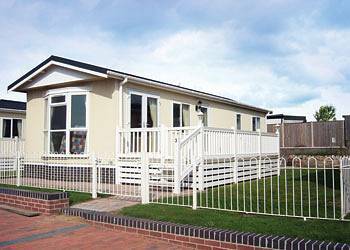 Have you been to Holiday Resort Unity? Please submit your review so that others can benefit from your experience. Important note: Information provided here about Holiday Resort Unity is based on our best knowledge. However, please check with Holiday Resort Unity before booking to ensure that you have the information required. 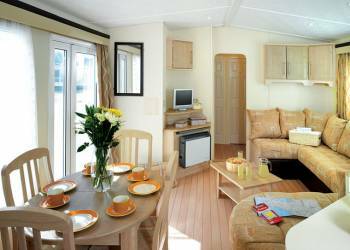 Reviews are the sole views of the contributor and do not necessarily represent the views of CampsitesandCaravanParks.com or Holiday Resort Unity.